Abstract: Radiofrequency catheter ablation of the slow pathway is considered to be the treatment of choice for patients with atrioventricular nodal reentrant tachycardia. 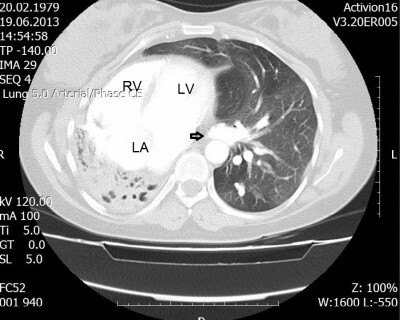 We report a 34-year-old female with mirror image dextrocardia due to unilateral pulmonary agenesis who underwent successful slow pathway ablation for typical atrioventricular nodal reentrant tachycardia. Using contrast injection, cardiac anatomy was identified in a short time and successfully ablated.